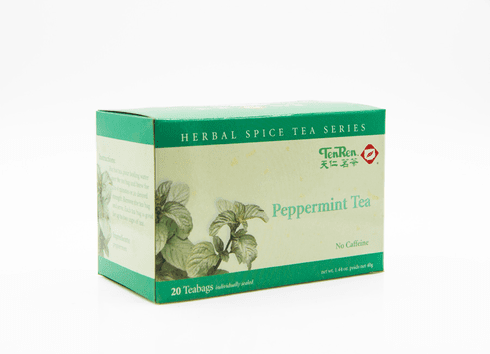 Ten Ren's Peppermint tea is a caffeine free tea comprised of crushed and grounded peppermint leaves. For mint lovers seeking refreshment, this is the tea for them. When brewed, the tea has a reddish-brown hue, a deep mint aroma, and the soothing taste and aftertaste of peppermint. Available in boxes of 20 bags. Shipping weight is 0.15 lb.